GLOBE Capital: The Nexus of Financial Markets and Business Strategy for the 21st Century. Despite committed demand of over $60 Trillion and numerous government and market signals, money is not being invested at the speed or scale required to transition and future-proof our economy. There is a critical need to transform our economy but the investment mechanisms to do so are neither clear nor cohesive. GLOBE Capital is about reaching that inflection point. Accelerating capital investment and innovation. Scaling up deal flow, and downsizing risk. Unlocking the business opportunity, and most of all, moving money. Learn how Canada’s new Infrastructure Bank could operate to fund current and future low-carbon investment projects. Find out where the risk is, and where the growth markets will be. Come to understand what’s needed to scale up investment in low-carbon infrastructure and transition our economy to be more stable, more resilient, and more efficient. GLOBE Capital is an important summit where global, innovative thought leaders and influential officials will gather to explore how to fully realize the enormous economic opportunity ahead. Seating at GLOBE Capital is limited to 350 participants. Attendance is by invitation-only to ensure adequate representation of important sectors, as well as reserving space for our extraordinary speakers and partners. 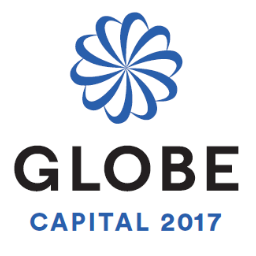 If you would like a seat at GLOBE Capital, register now as this Summit will reach capacity long before April. GLOBE Capital is proudly produced by GLOBE Series. GLOBE Series is best known for its world-renowned international GLOBE Forum Conference and Innovation Exposition held in Vancouver every two years. Since 1990, GLOBE Series has curated some of the world’s largest leadership summits on sustainable business which are designed to educate, empower, and connect leaders in pursuit of a cleaner, more prosperous world. Our vast networks and exceptional convening power enable us to attract hundreds of companies, thought leaders, clean technology innovators, influential NGOs, financiers, and senior policy-makers from around the world. We’re experts at creating platforms that facilitate new partnerships and shape strategic thinking. 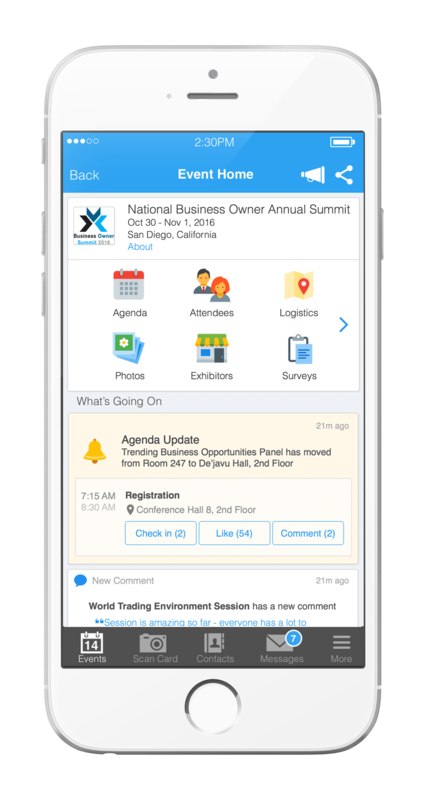 Our events foster actions that drive business success while preserving our planet. GLOBE Capital will draw upon the deep networks, senior-level contacts, and expertise for which the GLOBE Forum has become famous. Bio: Alex Wood is the Executive Director of Ontario’s Climate Change Directorate at the Ministry of Environment and Climate Change. Alex has over 20 years of experience working at the intersection of economic and environmental policy. He started his career with the World Wildlife Fund in Washington, DC, before moving back to Canada to work at the National Round Table on the Environment and the Economy (NRTEE), where he eventually acted as President and CEO. He then helped TD Bank Group establish its environmental policy, before moving to work at Sustainable Prosperity as Senior Director, Policy and Markets. In addition to his extensive work experience, Alex is a graduate of the University of Toronto and holds a Masters degree from The Johns Hopkins University School of Advanced International Studies with a double major in International Economics and Energy and Environmental Studies. Bio: Amal-Lee is Chief of the Climate Change and Sustainability Division at the Inter-American Development Bank. Her return in August 2015 follows a previous two year role leading on design and implementation of the Climate Investment Funds from 2008 – 2010. Having worked at the heart of the UK Government developing strategy and policy on climate change and sustainable energy between 2001 – 2011 her achievements include design of a new Green Investment Bank; successfully engaging developing countries on the UK’s G8 and EU Presidencies; leading EU negotiations under the UNFCCC and; development of high profile partnerships between the UK/EU and developing countries. From 2011-2015 Amal-Lee was Associate Director at E3G leading a program on international climate finance within Africa, Asia and Latin America, including launch of a high-level dialogue on China’s Green Finance Pathway to 2030. International roles included member of the Private Sector Advisor Group to the Green Climate Fund; facilitator of OECD DAC task team on tracking environmental finance and advising the UNFCCC and private sector initiatives on climate finance. Amal-Lee’s PhD focused on policies and institutions for increasing private sector investment in renewable energy within developing countries, with case studies of India and South Africa. Bio: Amanda Lang is an award-winning business journalist and best-selling author. Her experience as anchor at Bloomberg and in-depth knowledge of current events primes her to moderate discussions around complex issues. 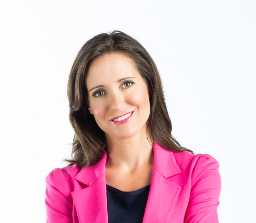 Award-winning business journalist Amanda Lang has been covering business in North America for 20 years. Lang works for Bloomberg Television Canada, anchoring Bloomberg North with Amanda Lang. Previously, Lang was CBC’s senior business correspondent, reporting for its flagship nightly news program, The National, and host of The Exchange with Amanda Lang, a daily business program airing on CBC News Network. For five years before that Lang hosted The Lang and O’Leary Exchange, with Kevin O’Leary. Lang studied Architecture at the University of Manitoba, before becoming a journalist. Her first job in journalism was for the Globe and Mail, and subsequently Lang joined the Financial Post newspaper, where she became the paper’s New York correspondent. In New York she made the leap to television, where she first was part of the team that launched BNN and before long wound up at CNN as a reporter and anchor. Her best-selling book, “The Power of Why,” (HarperCollins, October 2012) explores the connection between curiosity and success. Her second book, “The Beauty of Discomfort” will be published in April 2017. Bio: “The GLOBE Capital Conference provides the opportunity to have a sophisticated dialogue on how different players in the capital markets can collaborate to successfully transition to a low carbon economy in Canada. The time is ripe for Canada to step into a leadership role on sustainable finance.” - Andrea Moffat Andrea joined the Ivey Foundation as its Vice President after almost 20 years of experience work in Canada and the US on environment and sustainability issues with government, business, investors and non-governmental organizations. She is well positioned to contribute to Ivey Foundation’s mission of helping to create a shared vision for Canada’s future that integrates the economy and the environment, achieves resource efficiency, and fosters innovation and investment for a smarter, sustainable economy. Previously, Andrea was the Vice President of the Corporate Program at Ceres, where she led Ceres work with more than 80 companies on sustainability issues such as climate, energy, water, and supply chains. Andrea was the lead author of The 21st Century Corporation: The Ceres Roadmap for Sustainability and the corporate benchmarking reports based on this framework. She has also contributed to a wide range of other publications and is a sought-after speaker at conferences and events. Andrea has a Master of Environmental Studies degree from Dalhousie University and a Bachelor of Arts Honors degree in sociology/psychology from Queen’s University, Canada. She also attended the High Potential Leaders executive education course from the Harvard Business School in 2012, and completed the Institute of Corporate Directors (ICD), Boardroom Financial Essentials course in 2015. Andrea is a board member of the International Institute of Sustainable Development, the Canadian Environmental Grantmakers Network, and a member of the University of Toronto Environmental Finance Advisory Committee. Bio: “Industry leaders in Canada need to understand there is a short time frame, starting now, to get in front of opportunities, or they risk falling behind the pace of change. If the federal and provincial governments are committing Canada to participate in international emission reduction targets, industry will bear the brunt of the responsibility to meet them. GLOBE capital is so important because it allows us to have this conversation.” - Andrew Bowerbank EllisDon Global Director of Sustainable Building Services, Andrew Bowerbank, has worked in sustainability, green building, and carbon pricing for many years. EllisDon is known by clients and associates throughout Canada’s building construction sector for its diverse and innovative capabilities. Since its inception in 1951, the company has set new standards for the Canadian construction industry and has now grown into one of the largest firms in the country. There is a current opportunity to establish a new leadership position in the marketplace. Executives are recognizing the growing global trend toward low-carbon economics; It is my responsibility as Global Director to lead the team that will position EllisDon as the trusted experts on practical, proven, clean technologies and high-performance building construction. 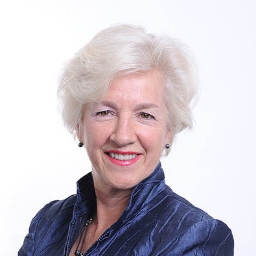 Bio: Annette Verschuren is Chair and CEO of NRStor Inc., an energy storage development company. Formerly she was president of The Home Depot Canada and Asia, overseeing the growth of the company’s Canadian operations from 19 to 179 stores between 1996 and 2011. She also led The Home Depot’s entry into China. Ms. Verschuren began her career as a development officer with the Cape Breton Development Corporation, a coal mining operation, in Sydney, Nova Scotia. She then worked with Canada Development Investment Corporation as executive vice-president, privatizing crown corporations, before joining Imasco Ltd., one of Canada’s largest holding companies in financial services, retail and food services, as vice-president, corporate development. Immediately prior to joining The Home Depot, Ms. Verschuren was president and co-owner of Michaels of Canada, a chain of arts and crafts stores, where she opened 17 stores in 26 months. 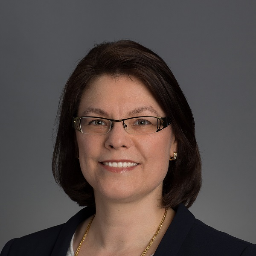 Ms. Verschuren is a board member of Liberty Mutual Insurance Group of Boston, Air Canada, Saputo and Canadian Natural Resources Limited. In addition, Ms. Verschuren is a board member of CAMH Foundation and the Rideau Hall Foundation and the MaRS Discovery District. Additionally, Annette Verschuren sits on the federal government’s Science Technology and Innovation Council. She co-chairs the Smart Prosperity Initiative which is mapping out a course to a stronger, cleaner economy for Canada. In 2011, Ms Verschuren was honoured as an Officer of The Order of Canada for her contribution to the retail industry and Corporate Social Responsibility. In 2010, she was appointed co-chair of the 2012 Governor General’s Leadership Conference, Canada’s premier leadership training event. 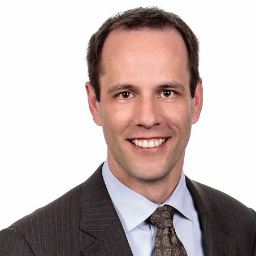 Bio: Bruce Anderson is the Managing Director of Manulife Financial and has extensive experience with large-scale investments in infrastructure, energy, and renewables. He will provide insights on assessing the risks of investment opportunities in the context of climate change. Manulife Financial Managing Director is Bruce Anderson. Mr. Anderson is responsible for sourcing, structuring, negotiating, and closing private debt investments across a range of sectors including infrastructure, real estate, energy, renewables and investment grade corporates. Investments typically range from $30 million to $150 million. Managing Director responsibilities include originating transactions, reviewing agency transactions, negotiating term sheets, completing transaction due diligence and investment proposals and coordinating the closing and funding of approved investments. Mr. Anderson is also responsible for managing a portfolio of active investments, including reviewing quarterly and annual account reviews and leading transaction amendments. Bio: Caio Koch-Weser is currently the Chair of the European Climate Foundation, and until recently the Vice-Chairman of Deutsche Bank. Previously, he served as the Secretary of State of the German Federal Ministry of Finance. Mr. Koch-Weser will open the conference with his experience in financial policy and strategy as well as his keen insights on climate change. From 2006 – 2016 Mr. Koch-Weser was Vice Chairman of Deutsche Bank Group, with global responsibilities for strategy; government, regulatory and corporate advisory; and co-ordination and implementation of group-wide business initiatives. He also served as a Non-Executive Director on the Board of BG Group (2010-2016) From 1999-2005, he was German Deputy Minister of Finance (State Secretary). His responsibilities included international finance (G-7 Deputy), European economic and financial affairs, as well as capital markets, banking and insurance. From 2003-2005, Mr. Koch-Weser held the position of Chairman of the EU’s Economic and Financial Committee, a committee of treasury directors and deputy central bankers that prepares EU ministerial meetings (EURO Group and ECOFIN). He was also Chairman of the Supervisory Board of BaFin (German Banking and Securities Supervisory Agency). From 1973 until 1999, Mr. Koch-Weser held a number of high-level positions in the World Bank in Washington, notably as Division Chief for the China Program (1980-86), Director for West Africa (1986-90), Deputy Treasurer and Director Treasury Operations (1990-91), Regional Vice President for Middle East and North Africa (1991-95), and Managing Director Operations and Member of the Executive Committee (1996-99). Other current activities include Member of the Board at the World Resources Institute (WRI) in Washington; Member of the ClimateWorks Foundation Board of Directors, a Member of the Global Commission on the Economy and Climate(NCE); and a Member of the Board of the Centre for European Reform (CER) in London. Mr. Koch-Weser studied economics in Germany. He is a German and Brazilian national, born in Brazil. He is married with three children. Bio: Chantal Sorel is Managing Director, Capital. She is responsible for the investment and asset management business capability of SNC-Lavalin, which invests capital in projects and manages the company’s multi-billion dollar portfolio of infrastructure investments. Previously, Ms. Sorel was Senior Vice-President, Business Development, of SNC-Lavalin’s Infrastructure sector. Until late 2014, she held the position of Vice-President and Project Manager in charge of the McGill University Health Centre (MUHC) Glen Site project. 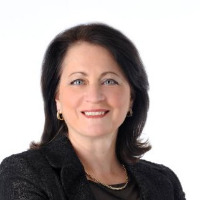 Over her career, Ms. Sorel has held numerous management positions, most notably in the areas of project management, strategy, business development and operations management. She has led engineering and construction projects in various sectors (buildings, mining and metallurgy, industrial, railroads and power transmission), and has significant international experience, having traveled extensively for projects and business purposes in Europe, Asia, Australasia, South Africa, the Middle East and Latin America. Ms. Sorel sits on the Boards of the Institut pour le partenariat public-privé, the Canadian Council for Public-Private Partnerships and the Canada-United Arab Emirates Business Council. Chantal Sorel has a degree in architecture from Université de Montréal and a Master’s degree in Project Management from Université du Québec à Montréal. She also has a Project Management Professional certification from the Project Management Institute and completed the Director Education Program jointly offered by the Institute of Corporate Directors, the McGill Executive Institute and the Rotman School of Management at the University of Toronto. Bio: Cheryl is an expert in M&A, outsourcing, cloud and technology transactions, particularly with respect to cross-border deals and global rollouts. 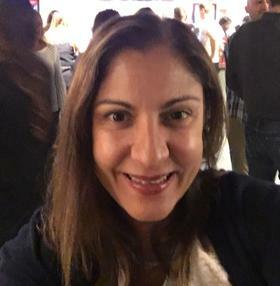 In that capacity, she focuses on closing deals while bringing value to clients in their M&A/financing deals, their sophisticated outsourcings and their more complex e-commerce activities, including projects involving cloud computing, big data and social media. Cheryl provides technology-related advice to a broad range of foreign and Canadian clients operating in various industries, including software, digital media, online commerce, financial services, energy and renewable energy. She is also involved in numerous local and national innovation, incubator and business accelerator initiatives. Before joining Blakes, Cheryl was a partner at another leading national law firm in the areas of corporate and technology law. Prior to that, she was a partner in the technology/e-commerce group of a large, international firm in the U.S. Cheryl was also general counsel of a NASDAQ-listed international provider of technology and outsourcing solutions. Her responsibilities included an initial and secondary public offering, as well as significant outsourcings and international acquisitions. Cheryl also worked for six years in Australia, focusing on corporate and commercial transactions in the Asia-Pacific region. 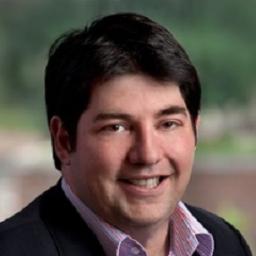 Bio: Christian Zabbal is the Managing Director of SpringPoint Capital, helped found Black Coral Capital and also founded the CREO Syndicate, a group of family offices that are active in the Cleantech space that co-invest and share resources. At each of these endeavors, Mr. Zabbal has accumulated a wealth of knowledge about investing in the cleantech space and can provide insights on innovative funding mechanisms to scale clean technology. Christian Zabbal is the Managing Director of SpringPoint Capital. SpringPoint Capital is a private equity fund that invests in energy, food and water, and is specialized in investing in project finance to help companies in that space scale and grow rapidly. Christian is also the co-founder of a syndicate of family offices, called the CREO Syndicate, a group that now comprises almost a hundred large family offices that are active in the Cleantech space, and which try to co-invest together and share deals, expertise and resources. In 2009, Christian helped set up Black Coral Capital, a family office specialized in investing in Cleantech and related fields. Before this, he was a founding partner at ghSmart, a management consulting firm specialized in talent assessment and development for the private equity industry. The firm serves most of the large players in the venture and private equity space on management and talent issues of all types. At ghSmart, Christian launched and managed several offices and practices for the firm. Prior to ghSmart, Christian was a junior partner at McKinsey & company, a management consulting firm. He was a leader in the media practice and worked in the New York, Amsterdam and Montreal offices. Christian also published several thought-leadership articles on broadband deployment and the evolution of new media while at McKinsey, and occasionally still speaks at various events on these topics. Christian started his career as a cancer researcher, developing new types of cancer therapy. He founded and then sold a small research company before doing an MBA and joining McKinsey & Company. Christian lives in Montreal with his wife and 4 daughters, and consequently spends a lot of time and expenses on Disney Princess-related activities and merchandise. Christian sits on the investment committee for SDTC (Sustainable Development and Technology Canada) and is on the advisory board of Cycle Capital, as well as acts as an advisor to several large pension funds and investment groups on issues of strategy and talent. Bio: Mr. Christopher Flensborg joined SEB in 2003 and is Head of Climate & Sustainable Financial Solutions. As a pioneer in Green Bonds, working closely together with The World Bank, he has developed concepts and mechanisms enabling mainstream investors to address climate investments in their portfolios. As a thought leader, SEB works to enable access for mainstream investor’s core portfolios to green investments. SEB´s goal is to be a prime provider of mainstream financial climate solutions across various financial mandates. In this capacity, Mr. Flensborg has been and is involved in climate investment strategies worldwide, from development to execution – from borrowers to investors. Mr. Flensborg spent over 28 years working in leading international financial institutions. He received his management training from international banks through schooling at Oxford, INSEAD, and Harvard. In 2011, Mr. Flensborg was named “Personality of The Year” by Environmental Finance magazine for his work with Green Bonds. In 2015, Mr. Flensborg was named “Overall Most Impressive SRI or Green Bond Banker”, “Editor´s Award for Driving SRI Market Development – Banker” and “Most Influential Champion of the SRI Market” in 2016, by Global Capital. Mr. Flensborg is a frequent speaker and has addressed institutions like the UN General Assembly and the OECD – and has been invited as guest speaker at leading educational institutions globally. Bio: Cynthia Hansen was appointed Executive Vice President, Utilities and Power Operations, on Feb. 27, 2017. Cynthia is responsible for the overall leadership and operations of Enbridge Gas Distribution and Union Gas, two of Canada’s largest natural gas utilities, as well as Enbridge Gas New Brunswick, Gazifère and St. Lawrence Gas. She also holds responsibility for the operations of Enbridge’s power generating assets, which currently include renewable energy investments in wind, solar, geothermal and hydroelectric, as well as waste heat recovery facilities and power transmission lines owned in whole or in part by Enbridge. Cynthia has more than 17 years of experience working in financial, operational and safety leadership roles within Enbridge, most recently as Senior Vice President, Operations within Liquids Pipelines. Prior to joining Enbridge, she worked as a Principal for PricewaterhouseCoopers. Cynthia is a member of Calgary-based Enbridge Inc.’s Executive Leadership Team. Cynthia serves on the boards of the Canadian Gas Association, the Ontario Energy Association and the University of Alberta School of Business Advisory Council. In the past, she has served on the boards of the Canadian Energy Pipelines Association (CEPA), the Alberta Chamber of Resources, the Edmonton Symphony Orchestra, and NorQuest College, among others. Cynthia holds a Bachelor of Commerce degree from the University of Alberta, and is also a Chartered Accountant and a Certified Fraud Examiner. In 2015, Cynthia was named one of Canada’s Most Powerful Women: Top 100 by the Women’s Executive Network, and was recognized as a Canadian Business Leader by Catalyst Canada. Cynthia resides in Toronto with her husband. Enbridge Inc. is a North American leader in energy generation, distribution and delivery with ownership of the world’s longest crude oil and liquids transportation system across Canada and the U.S.
Bio: Daniel Matross, Ph.D., leads programmatic activities, educational content development and key partnerships for the CREO Syndicate, a private, not-for-profit network of qualified family offices, private investors and advisors focused on collaboratively developing and investing in the global environmental marketplace. 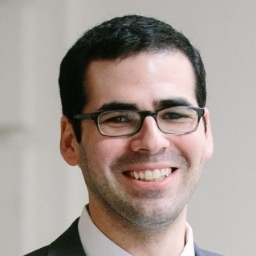 With expertise in energy, climate, carbon and sustainability, Dan has over 15 years of experience that spans government, consulting, start-up, and research environments. Prior to joining CREO, Dan led energy programs in California for the Government of Canada, providing analysis and support to energy and environmental technology companies. Dan has also provided climate and energy expertise at KEMA Inc. (now part of DNV GL), a global energy consulting firm, and led all scientific work and carbon market operations at Cooler, Inc., a start-up with innovative technology to calculate carbon footprints from financial information. Dan began his career as a research scientist at Harvard University and the University of California Berkeley, authoring and co-authoring numerous articles in the primary scientific literature. As an accomplished speaker and writer, Dan is talented in making highly technical concepts accessible to a broad cross-section of audiences. Dan holds a Ph.D. in atmospheric science from Harvard University, and a B.S. in chemistry from Stanford University. Bio: Douglas Turnbull, Vice Chairman, DBRS has a broad range of experience geographically, having worked in Toronto, Toyko, and New York, and in terms of his finance and infrastructure experience, as the former Deputy Chairman of TD Securities and a member of the Public Advisory Panel of the Canadian Electricity Association. He will use this breadth of experience to guide conversation as the moderator of the plenary on climate adaptation and risk mitigation. 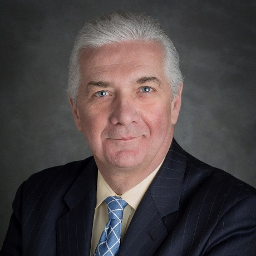 Douglas E. Turnbull is Vice Chairman and Country Head, Canada at DBRS. Mr. Turnbull has been in the position since January 2016. In his role, Mr. Turnbull is responsible for overseeing all of DBRS’s day-to-day operations in Canada. As part of the executive team, Mr. Turnbull also focuses on the strategic development of DBRS’s global rating business and senior outreach activities for the company. Mr. Turnbull has more than 36 years of experience in the investment banking industry, and is the retired Deputy Chairman, TD Securities Inc. Mr. Turnbull has worked in Toronto, Tokyo and New York, where he advised government, corporate, infrastructure and public sector clients on numerous public and private market transactions. Mr. Turnbull is a member of the Public Advisory Panel of the Canadian Electricity Association and a member of the Advisory Committee of the Intact Centre on Climate Adaptation. In addition, Mr. Turnbull has held a number of board positions with public sector and not-for-profit organizations, including, Metrolinx, the Ontario Financing Authority, George Brown College Foundation, the Toronto Financial Services Alliance and ORBIS Canada. In 2014, Mr. Turnbull was appointed by the Government of Canada as one of two Co-Chairs of the Canada-Assembly of First Nations, Joint Working Group on Resource Development, and delivered the final report in 2015. Bio: Eric brings 25 years experience in positions responsible for international business, global sales & marketing and start-up success. Eric has worked with a number of Canadian Cleantech successes including Temporal Power, Pulse Energy, and Tantalus Systems, and is a member of the Department of Foreign Affairs, Trade and Development Cleantech advisory board. 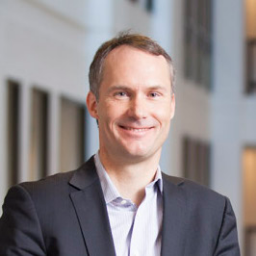 Prior to pursuing his passion in Canadian Cleantech, Eric held senior executive positions with ABB and GE where he developed strategic initiatives in industry segments including utilities, primary manufacturing, and communications. Eric is a professional engineer and holds a B-Eng from the Royal Military College and an MBA from the University of Western Ontario. 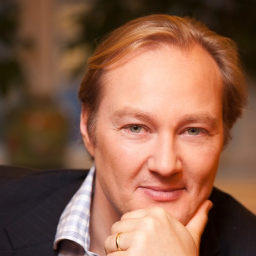 Bio: Gerd Goette is the Venture Capital Managing Partner at Siemens, where he focuses on clean tech and energy. Mr. Goette can share Siemens expertise in smart and digital technology and provide insights on its application to infrastructure. Gerd is a Partner, based in Silicon Valley, CA. He specializes in investments in energy, cleantech and transportation. He manages SVC’s investments in BuildingIQ (ASX:BIQ), ChargePoint, Sensys, Sunverge, Tendril and Wirescan. Earlier investments include Broadlight (acquired by Broadcom), Dune Networks (acquired by Broadcom), G2 Microsystems (acquired by Broadcom), IP-Unity Glenayre, ISE Limited (TSX:ISE), Kagoor Networks (acquired by Juniper Networks), Myrio (acquired by Siemens), Prenova (acquired by Ecova), Reactive NanoTechnologies (acquired by Indium), SmartSynch (acquired by Itron) and Verimatrix. Gerd also serves on the Investor Advisory Board of the National Renewable Energy Laboratory (NREL). With almost 30 years of worldwide industry experience, he combines a strong technical background with wide-ranging operational skills. 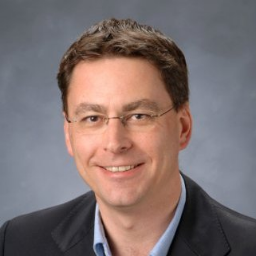 Prior to joining Siemens Venture Capital in September 2000, Gerd held the position of Vice President and Head of CableTV Solutions in Siemens Information and Communication Networks. Additionally, Gerd’s managerial and operating expertise stems from earlier focus on R&D, system integration, product line management, technical sales support, project management and general management in the fields of telecommunication equipment and solutions. Gerd received a master’s degree in electrical engineering (Dipl. Ing.) from Technical University Darmstadt, Germany. Bio: Glenn was recently appointed as Executive Director of the Canada Infrastructure Bank Transition Office, at Infrastructure Canada. 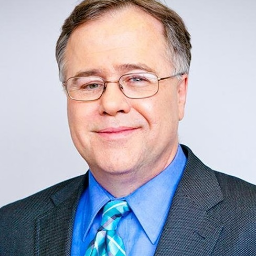 Previously he was Director, Financial Institutions, at Finance Canada responsible for financial sector policy covering banking and insurance, as well as financial services trade and investment, competition, ownership and consumer policy, as well as ministerial approvals of sector transactions and restructurings. Prior he was Director, International Policy and Analysis, covering international financial institutions as well as global macroeconomic analysis and policy coordination through G20, G7, and IMF in promoting economic growth and financial stability. He was also Senior Finance Official for APEC for three years focusing on Canada’s economic relationship in Asia, including promoting infrastructure investment. Glenn was finance counselor in New York during the global financial crisis covering Canada’s interests on Wall Street. He spent his early career at Finance Canada focused on federal-provincial fiscal relations and intergovernmental transfer programs, and has 25 years of experience in the federal government, including Global Affairs, Industry Canada, and the Treasury Board Secretariat. Glenn holds a BA from St. Francis Xavier and an MA from Western. Bio: Gordon Feller is the former Director of Urban Innovation at Cisco Systems headquarters in Silicon Valley, and currently serves as a consultant on the Internet of Things. Mr. Feller will apply his in-depth experience with the digital world to a discussion that address how the IoT can help build sustainable infrastructure. Cisco Systems Director and Consultant, Gordon Feller, has worked in emerging technology for three decades, most recently consulting on projects which harness the power of data for solving complex problems. His company, Meeting of the Minds, is a global thought leadership network and knowledge-sharing platform focused on the future of sustainable cities, innovation and technology. Formerly the Director of Urban Innovation at Cisco Systems headquarters in Silicon Valley, he currently serves as a consultant on the Internet of Things and Talent. For 30 years, Feller has advised on economic and technology issues with leaders of multinational companies, cities, NGOs, foundations, and national governments. Author of multiple articles in such publications as TIME, Urban Land Magazine, and Financial Times, he serves as a Fellow at the Urban Sustainability Lab within the Smithsonian Institution’s Wilson Center. 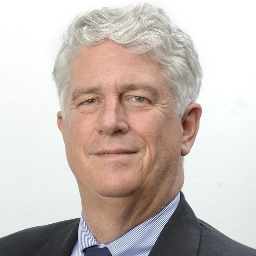 Bio: InstarAGF President and Founder, Gregory Smith, brings more than 20 years of experience in the investment, operation, acquisition and financing of public and private infrastructure businesses. Prior to founding InstarAGF, Gregory was Managing Partner and head of Brookfield Financial’s Global Infrastructure Advisory Group. He was also formerly President of Macquarie Capital Funds Canada Ltd. with responsibility for the establishment, growth and operations of Macquarie’s funds business in Canada along with the active management of Macquarie’s Canadian assets owned by offshore funds. Gregory has held various positions on the Board of Directors for several reporting issuers, including 407ETR International and AltaLink Management Ltd. He also previously served for a number of years on the Board of Directors of Canada’s Venture Capital & Private Equity Association, including as Chair and President. 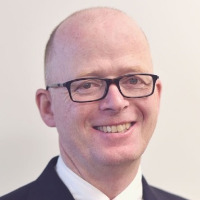 Gregory is a Chartered Accountant and a Chartered Business Valuator, and holds an Honours Bachelor of Commerce degree from Queen’s University. 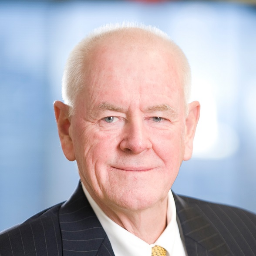 Bio: Hugh O’Reilly is President and CEO of OPTrust with responsibility for all of the organization’s operations, overseeing management of the pension fund’s $18.4 billion in assets and pension plan administration. Hugh is one of Canada’s foremost pension experts with extensive expertise in the operation and governance of jointly-sponsored pension plans. Before joining OPTrust, Hugh led the Pension Benefits and Insolvency Practice at Cavalluzzo Shilton McIntyre Cornish LLP. During his career, Hugh also served as senior policy advisor and Chief of Staff to a cabinet minister in the Ontario government, held the role of Senior Counsel at Canada Trust and practiced law as an associate lawyer at Osler, Hoskin & Harcourt and a partner at Torys in Toronto. He is a member of the TMX Advancing Innovation Roundtable and the editorial advisory board of Benefits and Pensions Monitor. In 2016, Mr. O’Reilly was the recipient of the Industry Leadership Award from the Benefits Canada Workplace Benefits Awards. He is a strong advocate for community engagement and serves as a member of the Board of Directors of Regent Park Community Health Centre and Chair of the Board’s Governance Committee. He holds an LL.B. from the University of Calgary and a B.A. from the University of Regina. 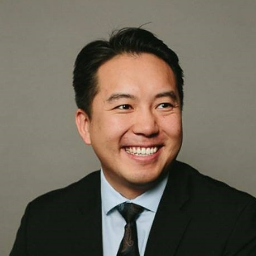 Bio: Jack Chang is a partner of Fort Capital Partners (Fort), an investment banking firm based in Vancouver that works with public and private companies in Canada. Fort draws from their collective capital markets experience to provide clients with fresh, accessible and independent investment banking advice. The senior professionals of Fort have served as lead manager or financial advisor on a wide variety of capital raising and M&A assignments over the past 20+ years. Over the past years, Jack Chang has grown their China-Canada cross border investment banking practice, and have gained significant knowledge and experience in fostering outbound investment from Chinese institutions into Canadian clean technology companies that are transforming a wide range of sectors. Prior to forming Fort Capital Partners, Jack Chang founded Canadian Resources Capital Corporation, an Exempt Market Dealer registered with several provincial securities commissions. A finance graduate of Simon Fraser University, Jack Chang is currently undertaking a distance Masters of Science in Environmental Science and Policy at Johns Hopkins University. Born in Taiwan, Jack Chang and his family immigrated to Canada in 1989. 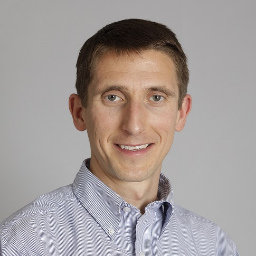 Bio: Jeffrey Schub is the Executive Director of the Coalition for Green Capital (CGC), a 501(c)(3) nonprofit that partners with governments and other stakeholders to create clean energy finance institutions, or “Green Banks,” to accelerate clean energy deployment. CGC is the leading consultant on Green Banks, which use public dollars to leverage greater private clean energy investment. Jeff CGC is the leading consultant on Green Banks, which use public dollars to leverage greater private clean energy investment. Jeffrey Schub develops Green Bank opportunities and partnerships across the U.S., managing engagements with over a dozen states. He has advised the Connecticut Green Bank on financing strategy and helped develop the New York Green Bank business plan. He has worked with the OECD and is helping to found the Green Bank Network to facilitate international Green Bank collaboration. Jeff holds an MBA from the Yale School of Management and BA’s in economics and public policy from Brown University. 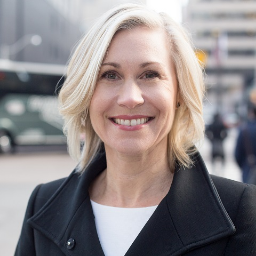 Bio: Jennifer Keesmaat is the Chief Planner for the City of Toronto, and is well renowned for her innovative work in Canadian municipalities. She will be bringing her experience, and a layer of local context, to the discussion on disruptive technologies in the infrastructure sector. As Chief Planner for the City of Toronto, Jennifer is committed to creating places where people flourish. Over the past decade Jennifer has been repeatedly recognized by the Canadian Institute of Planners and OPPI for her innovative work in Canadian municipalities. Most recently, Jennifer was named as one of the most influential people in Toronto by Toronto Life magazine and one of the most powerful people in Canada by MacLeans Magazine. Jennifer is the 2016 recipient of the President’s Award of Excellence, Canadian Institute of Planners. Her planning practice is characterized by an emphasis on collaborations across sectors, and broad engagement with municipal staff, councils, developers, business leaders, NGO’s and residents associations. Her priorities include implementing a divisional strategic plan, leading an Official Plan review process, refining public consultation to provide more access to city building conversations, a renewed focus on evidence based transit planning, midrise development on the City of Toronto’s many avenues, and overseeing development review for over 4000 applications annually. Jennifer is the founder of Project Walk, which premiered its first short film in 2011, as an official selection at the TIFF. In 2012 Jennifer debuted her first TED talk, Walk to School and in 2013 she delivered her second, Own Your City. Jennifer is a graduate of the University of Western Ontario (combined honours English and Philosophy) and has a Master in Environmental Studies (Politics and Planning) from York University. Bio: Jérôme Nycz was appointed Executive Vice President, BDC Capital in 2013. In this role, he leads the activities of BDC Capital, the investment arm of BDC that offers venture capital, equity as well as growth and business transition capital. He also oversees BDC’s deployment of the Venture Capital Action Plan. Mr. Nycz has over 20 years of experience in the financial and public sectors. He joined BDC in 2002, overseeing corporate strategy and planning, and shareholder relations. In subsequent years, he added responsibility for enterprise risk management, economic analysis and knowledge management to his portfolio. During this time, he conducted several internal strategic reviews of operations units and led a multidisciplinary team that prepared the Bank’s submission for the 2010 legislative review of the BDC Act. Prior to his current role, he was Senior Vice President, Corporate Strategy and Subordinate Financing. 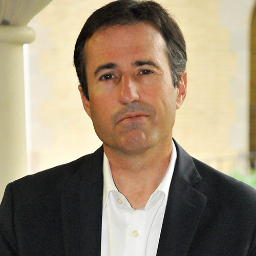 Mr. Nycz began his career with the federal government as a senior economist and policy advisor at the Department of Finance, Industry Canada and National Defence. He also worked at Export Development Canada and as an investment officer at the Canadian Consulate in Boston. Mr. Nycz is a board member of the Canadian Venture Capital and Private Equity Association (CVCA) and of Réseau Capital. He previously served as board member of CIRANO and as an advisory board member for international competitiveness with the Desautels Faculty of Management at McGill University. He holds a Bachelor of Arts in Economics and Political Science from Concordia University and an IMBA from Hartford University. Bio: Jessica leads Delphi’s policy services, helping clients navigate the complex policy and regulatory landscape by providing advisory and analytical support across various sectors including finance, energy, resources, agriculture, forestry, transportation, manufacturing, retail. A self-proclaimed ‘policy wonk’, Jessica has particular expertise in climate policy, carbon markets and pricing, and climate finance. She is regularly called upon to speak publicly, brief executives and provide expert commentary on these topics. She is a member of the Environmental Finance Advisory Committee, School of the Environment, University of Toronto as well as the Toronto Responsible Investment Network, Climate Change Working Group. Prior to joining Delphi, Jessica worked with the Climate Change and Energy team at the International Institute for Sustainable Development (IISD). She also spent time as a Balsillie Fellow with the Centre for International Governance Innovation (CIGI) and has worked for the Parliament of Canada. Jessica has a Master of International Public Policy degree from the Balsillie School of International Affairs, Wilfrid Laurier University along with a Bachelor of Public Affairs and Policy Management from Carleton University. Bio: John H. Walker is a Kensington Managing Director and a member of the Investment Committee. He is responsible for Kensington’s infrastructure business, with a seat on the Board of Directors of the Kensington Crowsnest Alberta L.P. and Genalta Power Inc. John is also Chairman of U.S. Geothermal Inc. [NYSE: HTM], an operating geothermal power company based in Boise, Idaho. He has a 40 year history in urban planning, energy security and power plant development in Canada and internationally. 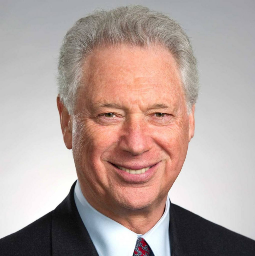 John was a founding director of the Greater Toronto Airports Authority in 1992 and chaired the first Planning and Development Committee of that Board, which provided oversight in the construction of the $4.4 billion terminal complex at Toronto Pearson Airport completed in 2004. Additionally, he was co-founder and a founding Director of the Borealis Infrastructure Fund in 1997 which is now owned by the Ontario Municipal Employee Retirement System (OMERS). 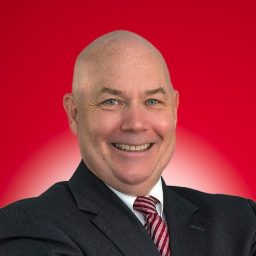 John has worked in the financial services industry as an investment banker with Loewen Ondaatje McCutcheon and has served on the Board of Directors of Sheridan College and was President of the Canada-Sri Lanka Business Council from 1994 to 1997. His background includes 10 years at Ontario Hydro where he was responsible for community impact studies, alternative energy and latterly for international market development for the New Business Ventures Division which became Ontario Hydro International. John has also acted as a senior advisor to Falconbridge on the Koniambo project now owned by SMSP and Glencore Xstrata, a $4 billion mine, smelter, power plant and port project in New Caledonia which was completed in 2013. He has also worked in infrastructure fund development for Aurion Capital and Integrated Private Debt. John is a Registered Professional Planner in the Province of Ontario and a member of the Canadian Institute of Planners. John has a BSc. from Springfield College in Massachusetts and a Masters of Environmental Studies (Urban/Environmental Planning) from York University in Ontario. Bio: John Beck is the Founder, President and CEO of Aecon Group Inc., one of Canada’s premier construction and infrastructure development companies. Mr. Beck has more than 50 years of experience in the construction industry throughout Canada and internationally, and is a Co-Chair of the Infrastructure & Urban Development Industries at the World Economic Forum. He will be sharing his experiences at the world infrastructure plenary. 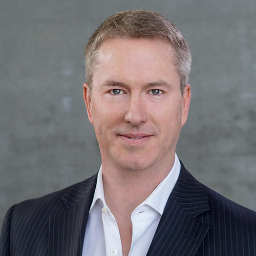 John Beck of Aecon Group is the Founder and President and Chief Executive Officer of Aecon Group Inc. (TSX: ARE), Canada’s premier construction and infrastructure development company. A leader in providing services to private and public sector clients throughout Canada and internationally, Aecon primarily serves the Infrastructure, Energy and Mining sectors. A graduate in Civil Engineering from McGill University, Mr. Beck has more than 50 years of experience in the construction industry in Canada and internationally. His background includes corporate leadership in numerous construction activities including heavy civil projects and public-private partnerships for the development of infrastructure, such as airports, toll roads and transit systems. John Beck of Aecon Group is currently a member of the Board of Directors of PPP Canada, the Ontario Financing Authority, the Royal Conservatory of Music as well as Co-Chair of the Infrastructure & Urban Development Industries at the World Economic Forum. He is a member of the Advisory Council for the School of Public Policy at the University of Calgary and is also a member of the Business Council of Canada. He was previously Chairman of the Board of the Ontario Power Authority, a government agency with responsibility for planning and procuring all of the province’s power needs for the next 20 years. He was named P3 Champion of the Year by the Canadian Council of Public Private Partnerships in 2013. In recognition of his distinguished achievements and career-long service to the engineering profession, Mr. Beck was inducted as a Fellow into the Canadian Academy of Engineering. Bio: “Canada has the ability to lead the world in the clean economy transition, an opportunity worth trillions of dollars for companies and financiers. Our economy must revolve around brainpower, technology, trade and the world’s greatest trove of natural resources – resources we’ve used for decades that will finance the energy innovation and clean technologies that the world will need tomorrow. The transition has started, be a part of it at Globe Capital.” As Senior Vice President, Office of the CEO at RBC, John Stackhouse is responsible for interpreting trends for the executive leadership team and Board of Directors with insights on how these are affecting RBC, its clients and society at large. 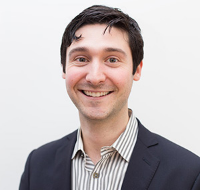 Bio: Jory Cohen is the director of social finance and investment at the Inspirit Foundation. Since graduating from the Richard Ivey School of Business at Western University as the Valedictorian of his class, Jory quickly garnered a reputation as a next-generation leader in the impact investing field. Before joining Inspirit, Jory was the Managing Director of Youth Social Innovation Capital Fund (YSI), an impact investing fund. Under Jory’s leadership, YSI made its first six investments and maintained a 100% repayment rate to investors. He also co-founded an impact venture in East Africa based on the fair-market-value sales of honey. Most recently, Jory played an integral role in launching Inspirit’s 100% impact portfolio and continues to lead the rollout of that strategy while managing all aspects of the finance department. Jory is often called upon to share his expertise within the sector and academic institutions. He’s also co-authored a children’s book.